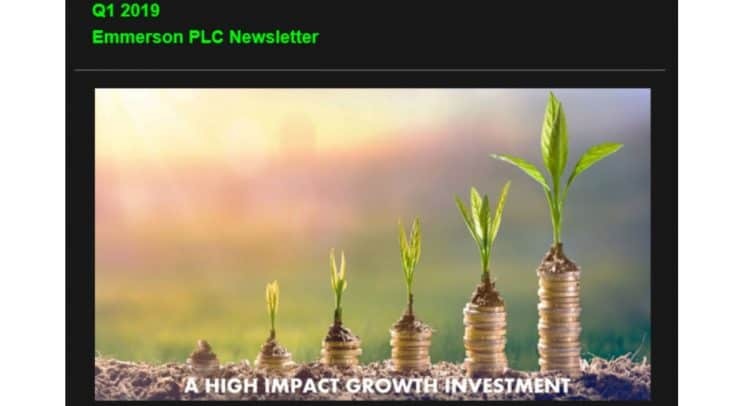 Emmerson Plc (“Emmerson” or “the Company”), is pleased to announce that it has launched a quarterly newsletter (“The Newsletter”). The Q1 Newsletter features a summary of key milestones achieved in the quarter including the commencement and completion of the Environmental & Social baseline study and the appointment of potash processing expert Don Larmour as a consultant; both of which are key milestones towards the feasibility stage. Further news in the quarter included the identification of significant potential cost savings through the review conducted by Mr Larmour and by securing the opportunity to utilise the Port of Casablanca significantly enhancing the already outstanding economics of the Khemisset Potash Project. The Newsletter also provides a recap of the investor events attended by the Company’s management and also a commentary on the current highly favourable potash market dynamics.